Catriona Maddocks is a Visual Artist and Designer. 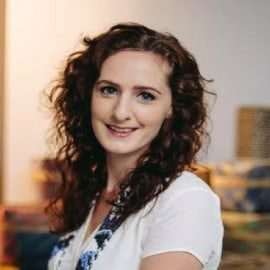 Originally from the U.K. she has lived in Sarawak for six years and is the co-founder of Catama Borneo, a Social Enterprise based in Sarawak, Malaysia. Catama Borneo is passionate about the traditional craft heritage of Sarawak’s indigenous communities and collaborates with craft makers to ensure the preservation and continuing practice of their crafts. Catama Borneo facilitates innovation and skill upgrading to rural artisans to produce contemporary design pieces that showcase traditional craft techniques. Their mission is to provide sustainable livelihoods and empower craft makers with a pride in their heritage arts, whilst also creating exquisite and distinctive products for the modern consumer.